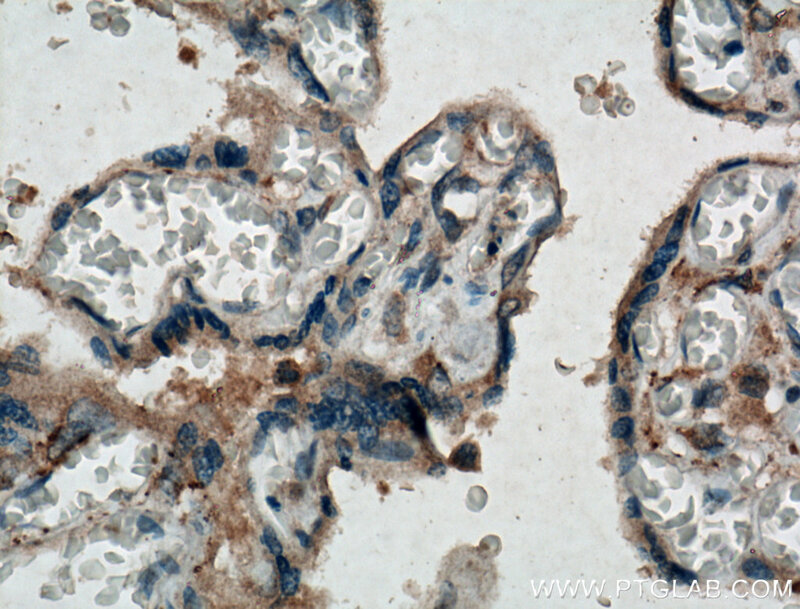 Immunohistochemistry of paraffin-embedded human placenta tissue slide using 10216-1-AP (Chemerin antibody) at dilution of 1:200 (under 10x lens) heat mediated antigen retrieved with Tris-EDTA buffer(pH9). 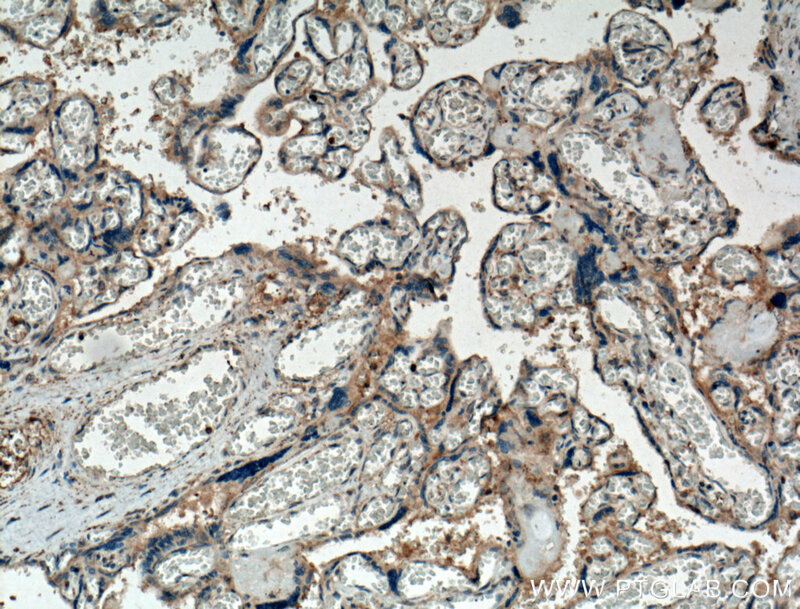 Immunohistochemistry of paraffin-embedded human placenta tissue slide using 10216-1-AP (Chemerin antibody) at dilution of 1:200 (under 40x lens) heat mediated antigen retrieved with Tris-EDTA buffer(pH9). Chemerin, also named as TIG2 and RARRES2, is adipocyte-secreted protein (adipokine) that regulates adipogenesis, metabolism and inflammation through activation of the chemokine-like receptor 1 (CMKLR1). Its other ligands include G protein-coupled receptor 1 (GPR1) and chemokine receptor-like 2 (CCRL2). It positively regulates adipocyte differentiation, modulates the expression of adipocyte genes involved in lipid and glucose metabolism and might play a role in angiogenesis, a process essential for the expansion of white adipose tissue. RARRES2 have both pro- and anti-inflammatory properties depending on the modality of enzymatic cleavage by different classes of proteases. The MW of Chemerin is 14-19 kDa.